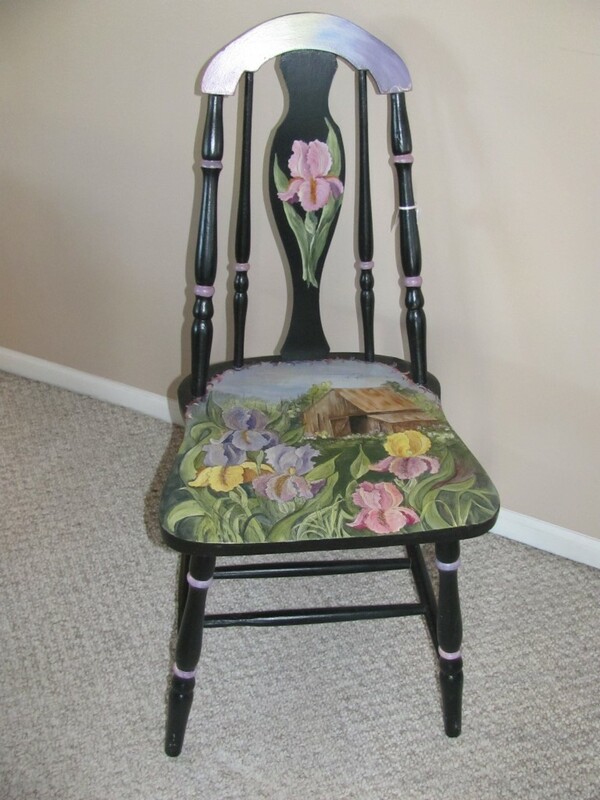 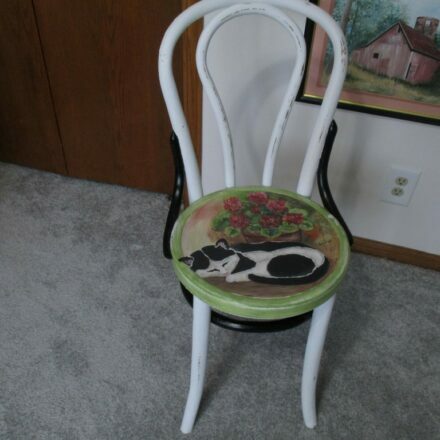 Old Antique chair, painted in black with Iris in the foreground of several different colors. 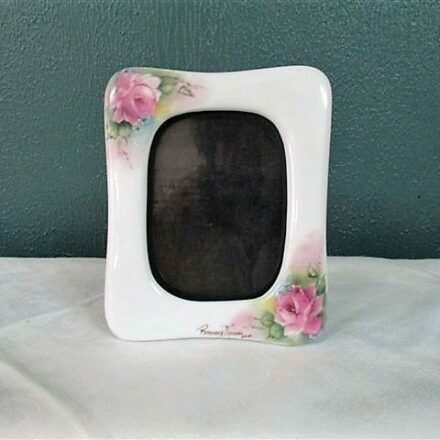 Back of chair has one Iris in rose mauve and a rainbow of colors in rose mauve, yellow, blue & lavender. 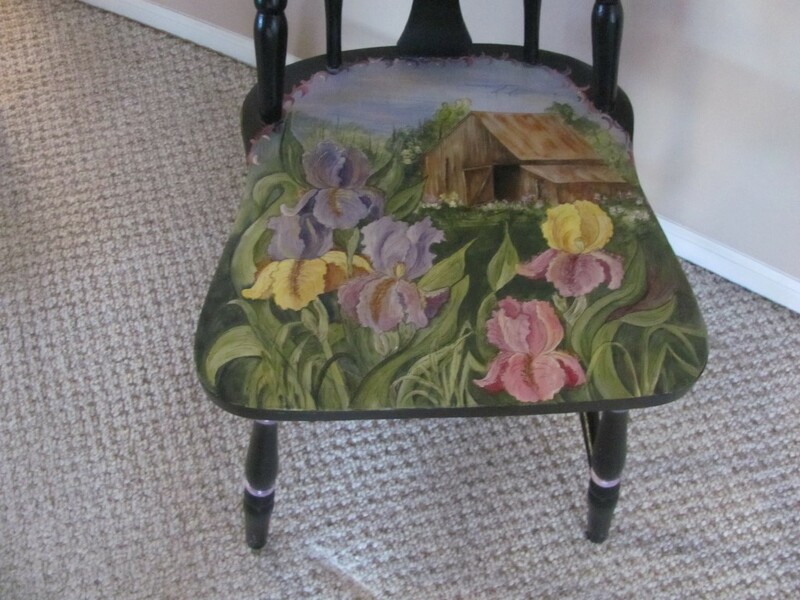 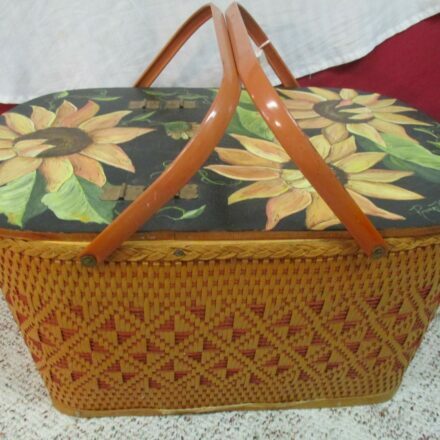 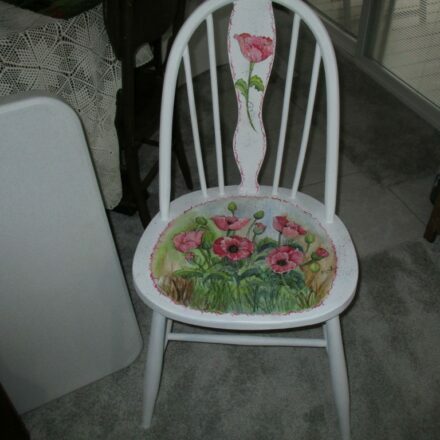 Very attractive chair, an original design, hand painted by artist Rosemary Thomas.